The Purify Collection from the Melanie Newman Salon Essentials range will bring the Day Spa experience home to your dog! This luxurious 3-step pampering process will leave your dog’s coat feeling squeaky clean and amazingly soft. HOW DOES THE PURIFY COLLECTION WORK? Charcoal was chosen as a key ingredient for the new Purify Collection. 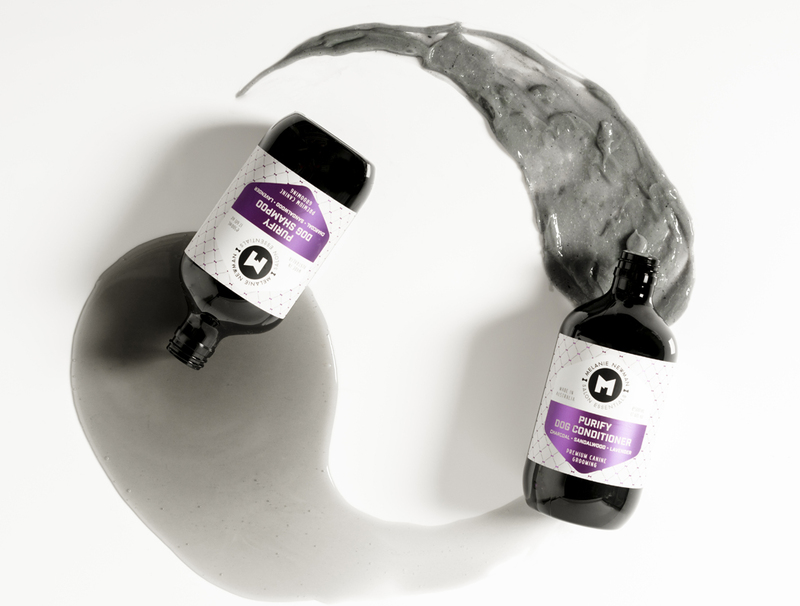 Activated charcoal is an extremely porous substance with “adsorption” super powers - this basically means that the particles of one substance are clinging to the surface of the other. The oils and dirt trapped into your dog’s coat and skin will cling to these charcoal particles. They will be loosened and then washed away during the shampoo and rinse process. The entire Purify Collection is made from activated charcoal - chosen for its toxin adsorption powers - and is infused with Sandalwood, Marjoram and Lavenderessential oils. It is free from harsh synthetic chemicals and is also enriched with Vitamin E.
These products will not only clean your dog’s coat but also leave it soft, silky and fresh smelling with a natural shine. The Purify Collection includes a luxurious Charcoal Dog Body Scrub, a Dog Shampoo and a Conditioner. Over her 15 year career as a professional dog groomer, Melanie has strived to give the animals she works with the best quality care, but always found it difficult to find products that were of a high quality, leaving the dog’s coat feeling refreshed and clean, whilst being also gentle on both the pets and groomers’ hands. 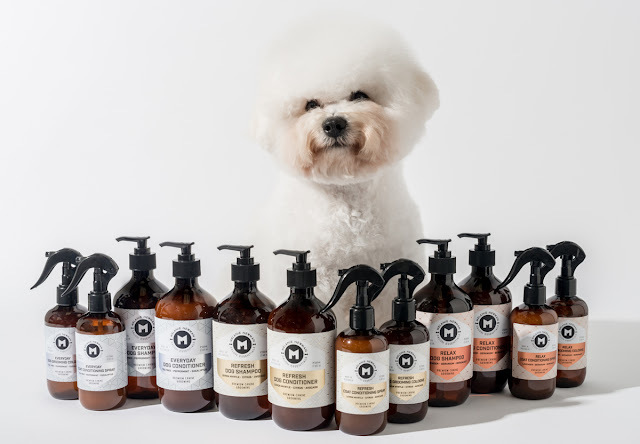 Over a two-year period, Melanie and her husband Cory developed the Melanie Newman Salon Essentials collection, a premium range of canine grooming products that both the dog grooming industry and caring dog owners can now be proud to use on their animals. RRP: $19.50 for the Purify Dog Body Scrub (200g); $34.95 for the Purify Dog Shampoo/Conditioner (500ml). Also available in a practical 5l size for grooming salons. Products can be purchased separately or as the "Duo" or "The Works" pack.